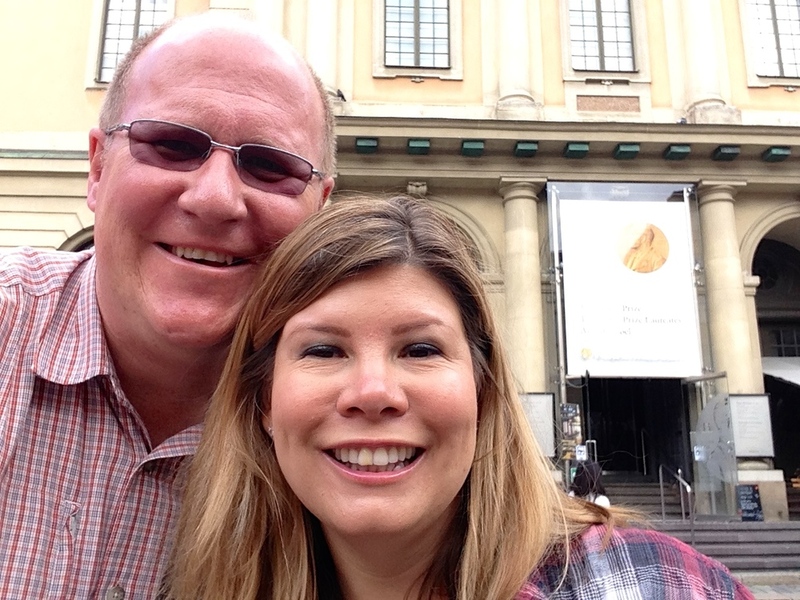 Europe 2014- The Nobel Prize Museum — Always Packed for Adventure! We spent our last morning in Sweden at The Nobel Prize Museum. We took the first English tour of the morning, which had about ten other people in our group and a wonderful guide. We learned all about Alfred Nobel's life and how he ended up endowing this award. Then we moved on to a quick rundown of the most recent winners and their contributions. We finished the hour-long tour with our guide highlighting some of her favorite winners. I have mixed feelings about the museum. On the positive, I learned many interesting facts about Alfred Nobel, the prize and the innovations of past winners. I had no idea that the award was given based on a particular innovation, rather than a lifetime of achievements. Many winners have won the award multiple times. It was fascinating to learn about innovations that I had never heard of, but that have made such a big impact on the world. The award winners are very inspirational. On the downside, this museum reminded me of The Guinness Book of World Records Museum in Hollywood. It was mostly just a bunch of facts up on walls, rather than actual artifacts or interactive components. There were a few displays of the prize winning inventions, but not many. Mostly, there were pictures of the inventions with a blurb about the winner. This made me feel like I could have obtained the same information and experience from reading a book about the Nobel Prize, as I did from having visited the museum. We spent just under two hours at The Nobel Prize Museum and overall, I'm happy that we had it in our itinerary. The gift shop is not to be missed. It's filled with quirky and fun items. After the museum, we took a coffee break at the Cafe Nova in Old Town. At Cafe Nova, we drank lattes and ate one of Dan's favorite Swedish treats, Dammsugare. A Dammsugare, which for reasons unknown to me stands for "vacuum cleaner", is a marzipan covered pastry with a cookie/chocolate/alcohol soaked filling. It's rich and delicious. The Nobel Prize Museum and Cafe Nova, were a perfect way to spend our last morning in Stockholm.